The Kogi State Chapter of the Peoples Democratic Party, PDP, yesterday took a pot shot at the All Progressives Congress, APC, for allocating the position of junior minister to the state in a “c-grade, if not d-grade” ministry, describing such portfolio as humiliating. The ministerial nominee for the state, Mr. James Ocholi (SAN), was assigned the portfolio of Minister of State in the re-configured Ministry of Labour and Employment, which used to be known as Ministry of Labour and Productivity. Speaking with newsmen in Lokoja, the state capital, the Publicity Secretary of the PDP in Kogi, Bode Ogunmola described as “humiliating and condescending”, the assigning of junior minister to Kogi State in a, “c-grade, if not d-grade” ministry, stressing that Kogi State never had it so bad under successive PDP administrations. 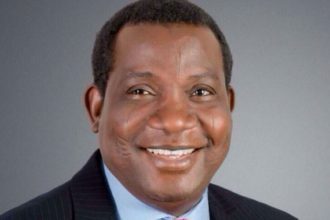 Ogunmola recalled that much as the Yar’Adua/Jonathan administration between 2007 and 2011 could not guarantee senior cabinet ranks for Kogi ministers, Chief Gabriel Aduku and Humphrey Abah, they functioned in the, ‘A-Grade’ portfolio as Health, Interior and Police Affairs ministers at various times.